Choose the best travel arrangements for Sports Tours? When teams travel, they have their mind set on sport aspects and are focused on the sport events and training. Regarding the accommodation. Here at ComeOn Sport, we do the hard work and propose you the best options to book accommodations, transport, food/meals and activities for groups. Because of our local knowledge and our experience, we always choose the best locations for your accommodation that fits your needs, your budget and your choices. We always provide you with different options of hotels accommodation or holiday parks or Sport Centers in the search area. 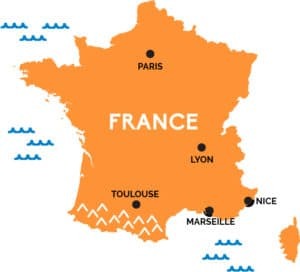 Hotels we work with provide us with great rates so that you can get, thanks to our agency, the places price for your sport tour in France or sort event here. We always propose you our best advice and tips in order to build the perfect sport tour that fit all your requirements! Follow our official Facebook page to discover more destinations and details about sport tours. Book your next sport tour with ComeOn Sport. Rely in us as we are in the business since 2004. I would like to say thank you for the tour to Paris. We had a very good time with the team and all went well thanks to your great organisation! Thanks very much for the rugby tour we have done in your lovely country. We all enjoyed it and I wanna thank you for the great hospitality we had while we were there. See you in 2019 !